Conditional uses will be evaluated by the County Planning Board with a recommendation to be approved, conditionally approved or denied by the Carbon County Commissioners. Each specified conditional use provides minimum requirements that must be met. Please see Section VIII-A for all conditional use requirements. Permit fee is $850. What kind of conditional use are you applying for? Describe existing access to the property and how traffic related to the activity will be directed through the site. What are the current uses adjacent to the proposed property? What are the setbacks for proposed structures? Will the proposed activity interfere with agricultural operations by contaminating water sources or interfering with irrigation facilities? Are State or Federal Permits needed to conduct this activity on the proposed property? Yes, I'm waiting on obtaining them. No additional permits are required. Required files include a (1) detailed site plan/development plan, (2) a time schedule for completion of development (3) and any additonal required documents specific to your conditional use. You may scan a drawn copy of the property and the proposed improvements and also submit a written statement addressing all application requirements for the desired use. 5. Administrative Review Process. 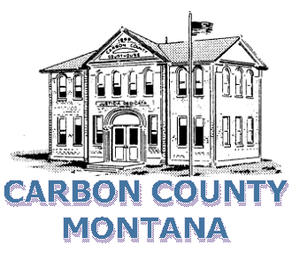 The Carbon County Commissioners will issue a Development Permit within 60 days of a complete application. The Carbon County Commissioners may issue CONDITIONAL APPROVAL of the permit related to ingress and egress, parking, fencing, screening, landscaping, setbacks, signs and lighting, weed control and conditions to address other reviewing agency concerns. My signature above authorizes Carbon County to charge my credit card listed herein in the amount of $154.50 ($150 fee + 3% credit card convenience fee). I agree to pay for this purchase in accordance with the issuing bank card holder agreement.